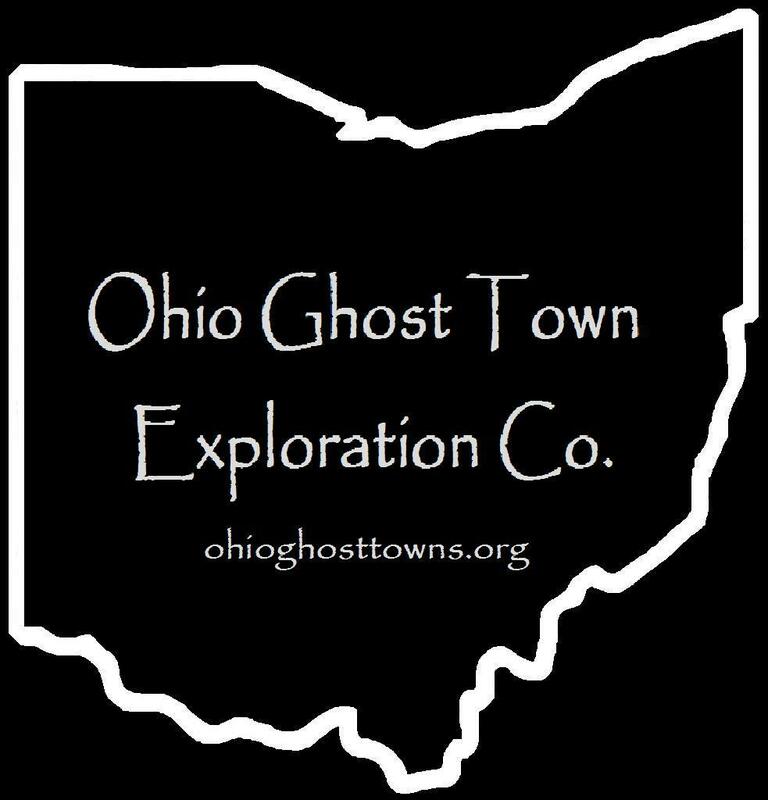 Mercer County – Ohio Ghost Town Exploration Co. Description: It was listed as a postal town in the Ohio State Gazetteer and Business Directory for 1860-61. Description: The town was founded by John Brehm (1828 – 1907) & Margaretha (Bollenbacher) Brehm (1833 – 1897) who had 3 children. John also had 8 other children from a previous marriage. They were buried with relatives in St. Pauls United Church of Christ Cemetery. Description: Joseph Bird donated land for a train station on the Cincinnati, Hamilton, & Dayton Railway. Ironically the Parrott family was one of the biggest in the area. Some residents were buried in Hussey Cemetery on the south side of Deep Cut Rd across from the end of Elgin Rd. Description: It was platted in 1823 by Andrew Coil (1770 – 1845) who hoped the town would be the future county seat. The town didn’t sell many lots or last long, but Andrew had 12 children, 6 with Elizabeth (Foster) Coil (d. 1850) & 6 with Frances (Conrad) Coil (1768 – 1824) who did well around Mendon. Andrew moved out of the county before passing away. Description: It’s listed as a postal town in the 1854 A New And Complete Gazetteer Of The United States. Description: Oregon Station sat on the Cincinnati, Hamilton, & Dayton Railway. Its general store & post office called Earley was on the east side of Weitz Rd near Oregon Rd. Samuel Brookhart (1829 – 1916) & Mary Ann (Sinift) Brookhart (1830 – 1894) donated land for the train station & were buried in Roberts Cemetery. Description: It sat on the Cincinnati, Hamilton, & Dayton Railway & has only been spotted on a railroad map from 1898. Description: Guilford is listed as a ghost town in several places online, but it’s just the original name of Mendon when it was platted in 1834. It was changed by 1839 when the post office was established. Description: This town sat on the Lake Shore & Western Railroad. It’s proprietor was Calvin Riley (1830 – 1914) who owned . He was buried with relatives in North Grove Cemetery on US 127 (N Main St) in Celina. Description: It was founded by the Steinman family in the area which has a few surname variations. The town had a steam saw mill & a train station on the Cincinnati, Hamilton, & Dayton Railway. German immigrant John Brehm (1828 – 1907) arrived in the U.S. sometime around 1848 with a fine education & a few years of being a skilled baker. He originally settled in Montgomery County, turned into a self taught farmer, & had 8 children with his first wife Mary Lower. John remarried after Mary passed away & had 3 more children with Margaretha Johanna Bollenbacher Brehm (1833 – 1897). In 1872 John & Margaretha moved their family to a recently purchased 100 acre farm in Mercer County where many other German immigrants were already living. Like many other communities mostly consisting of large farms during the time period, Brehm wasn’t platted out or incorporated, but it had a post office from 1890 – 1897 that was probably either run by John or one of his children. A one room school sat at the corner of Wabash Rd & Shaadt Rd. The Brehms also donated land & funds for St. Paul’s Lutheran Evangelical Church & were actively involved in local schools & politics. It was the largest family in the area with some of John’s siblings & cousins raising families there too. Despite never being completely abandoned, the town name only lasted 50 years or so. Brehm was great for farming & living a religious life, but didn’t have big businesses or a hotel to bring in travelers & couldn’t attract a canal or railroad as a result. John & Margaretha Brehm were buried in St. Paul’s United Church Of Christ Cemetery at the intersection of Wabash Rd & Oregon Rd with many relatives. More Brehms can also be found in St. Paul’s Lutheran Church Cemetery on Wabash Rd between Oregon Rd & Shaadt Rd. We suspect the building in the lot of the Lutheran Cemetery might be the old one room schoolhouse & was moved from Shaadt Rd at some point.